Marvel has announced that Joss Whedon‘s The Avengers 2 (aka Untitled Marvel’s Avengers Sequel) will open on May 1, 2015. The Avengers 2 will be the culmination of “Phase Two“. Here’s how the Phase Two release dates shake out: Iron Man 3 on May 3, 2013; Thor: The Dark World on November 8, 2013; Captain America: The Winter Soldier on April 4, 2014; and Guardians of the Galaxy on August 1, 2014. There are rumors that Edgar Wright‘s Ant-Man might shoot in 2014, so it’s possible Marvel might squeeze the tiny superhero into a January or February release date. However, Guardians of the Galaxy is expected to be the lead-in for The Avengers 2‘s villain, Thanos. While I would love to see Ant-Man sooner rather than later, it might take the wind out of The Avengers 2‘s sails to take a brief detour unless Thanos plans on showing up in Ant-Man, which would be surprising to say the least. The 2015 release date doesn’t come as too much of a shock. Whedon recently signed on to stay with Marvel until 2015, and he’ll also be overseeing their other projects. 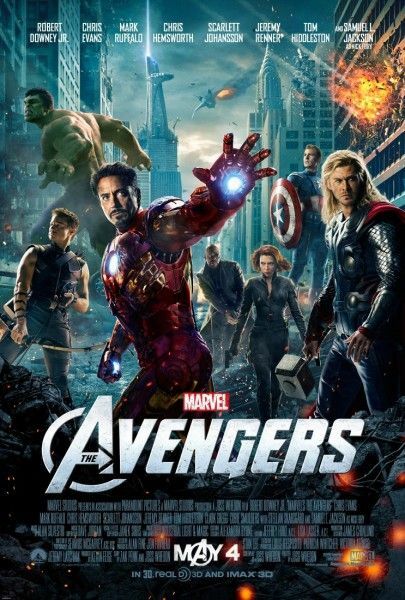 The Avengers 2 will come out 1092 days after The Avengers, so mark your calendars and start counting down. Hit the jump for the brief press release from Marvel and Disney. The Walt Disney Studios has announced a release date for Marvel Studios’ sequel to the biggest Super Hero blockbuster and third highest grossing film of all time, Marvel’s The Avengers. Joss Whedon returns to write and direct the UNTITLED MARVEL’S AVENGERS SEQUEL set for release May 1, 2015.